Welcome to the web services course! This is our first session together. What’s the difference between a web app, and a web service? These diagrams should help illustrate the difference. With the rise of the web’s use and popularity in the 1990s, efforts were made to define and specify web services. This led to the de facto standardization of SOAP XML web services. Often described as “big web services”, SOAP XML web services are the implementation of remote procedure calls on the web. This kind of web service typically has one specific endpoint address, and requestors must create and send a data package (which conforms to SOAP), and then process the response (which also conforms to SOAP). However, other efforts took advantage of the web and its existing features and benefits. In other words, they simply followed the HTTP specification and its ex post facto architecture definition, to create true and pure web services. These kinds of web services, often termed “Web API”, exploded in use and popularity from about 2005 onwards, and are now the preferred design approach. In this course, you will learn both (for maximum employment value). However, most of our work will use the modern web services. Web services can be developed on any web-connected technology platform, and in any language. Web services are interoperable. Web services are vital for modern software architectures. How do I start learning web services? You must learn (more) about HTTP. In class, we will discuss some HTTP topics, and refer to the overview on Wikipedia, and the official specification series, RFC 7230 to RFC 7235, which recently replaced RFC 2616. HTTP is a typical Internet protocol that relies on an exchange of messages between a requestor and a responder. The messages are plain text, and must conform to a specific format. Fiddler is an HTTP inspector. 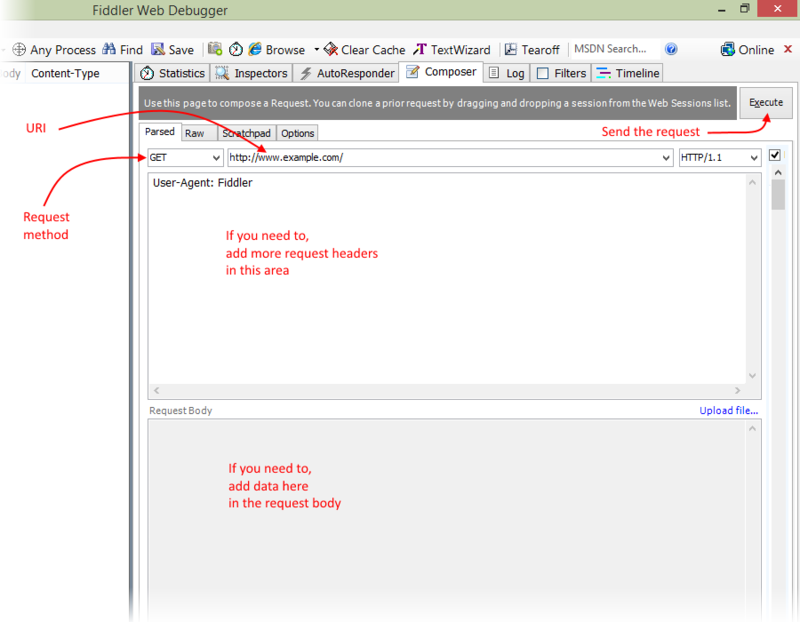 We will use Fiddler to interact with a web service. It is installed on the College lab-room computers, and is also available from the Fiddler web site. When Fiddler loads, ensure that it is not “capturing” traffic from other open browser windows on your computer. Look in the lower-left corner; if it says “Capturing”, then press F12 to stop capturing. Can you save this setting? Yes. Open Tools > Fiddler Options. On the Connections tab, un-check (clear) the checkbox named “Act as system proxy on startup”. Request method – choose GET, POST, PUT, DELETE, OPTIONS, etc. After the request has been composed, Execute to send the request. The result will appear in the left-side list of requests. Be patient, because some requests can take several seconds to complete. In Fiddler, show the Composer tab. We will use Visual Studio 2013 in this course to create web services. Your professor will show you how. Your professor will introduce the tooling, the “Web API” project type, and the process of creating a web service. Fiddler will be used to interact with the web service. A resource is a digital asset. Familiar examples include a document, or an image. How do you identify a resource? By using its URI (uniform resource identifier). The URI standard is described in RFC 3986, and also in a Wikipedia article. What is the format, or representation, of the resource? Well, it depends on the design of the web service, and sometimes the needs of the requestor. As defined above, a resource is a digital asset. A representation is a digital asset that is formatted as a specific internet media type. Think about a scenario where a web service was used to manage students in a course. Each student is a resource – a digital asset – that can be identified by a URI. If a user requested a specific resource through a web browser, you would expect that the resource would be represented by some HTML that included the student’s name, student ID, and so on. Alternatively, it’s also possible to request the same specific resource – using the same URI – but also specify that it be returned in a data format (like JSON or XML, discussed later). The server will return a data representation of the resource. Or, maybe the request specified that the student’s photo be returned as the resource’s representation. Again, the same URI is used. So, in summary, a resource’s representation can vary to meet the needs of the web service programmer or the web service user. Every representation is defined by an internet media type. An internet media type is simply a data format for a representation of a resource on the internet. The data formats are standardized, published, and well-known, by the IANA (the Internet Assigned Numbers Authority). This Wikipedia article is an acceptable introduction to internet media types. For web service programmers, two important internet media types are used as data formats, JSON and XML. Both are plain-text data formats. They are somewhat human-readable. Here’s an overview of JSON from Wikipedia. Here’s the official web site for JSON, by Douglas Crockford. XML is an initialism for eXtensible Markup Language. Students in this course will recognize XML and recall their past experience with applications of XML, specifically XHTML, and the Web.config settings in ASP.NET. In general, XML uses programmer-defined element names to define the data. There are several popular XML document formats that have been created over the years, which can ease the burden of designing a ‘schema’. Here’s an overview of XML from Wikipedia. Your professor will use Visual Studio 2013 to create a simple web service. 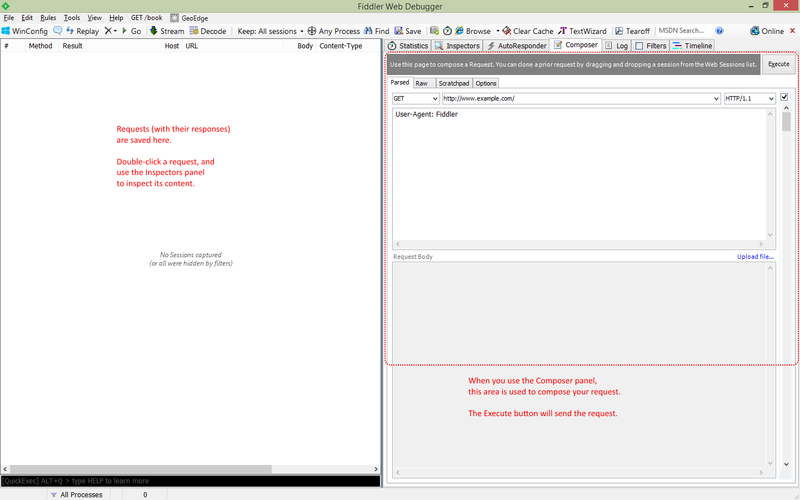 Then, Fiddler will be used to test (and interact) with the web service.